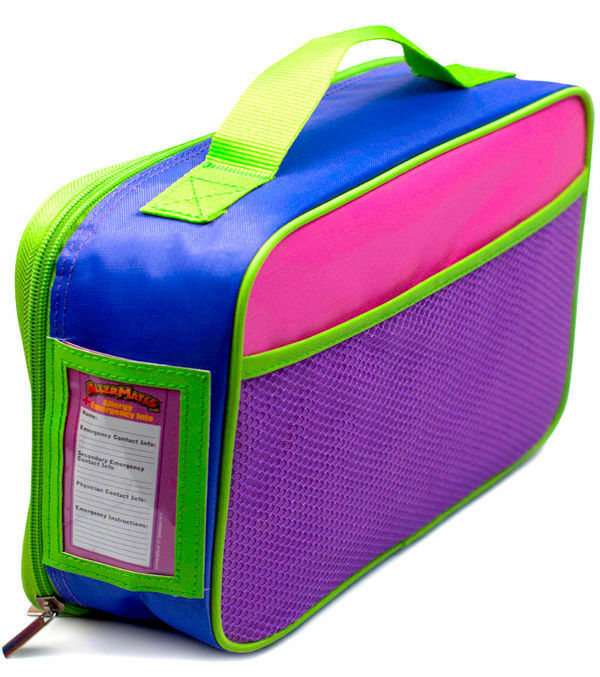 This insulated pink & purple ‘I have Allergies Lunch bag’ is perfect for kids with allergies. 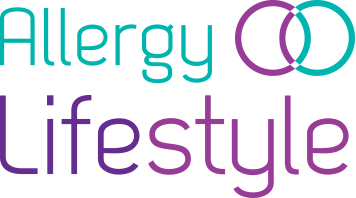 Alerting others to your child’s allergies at snack & lunch breaks is vitally important. 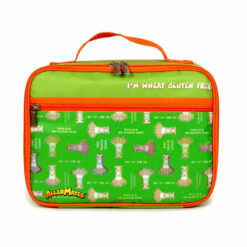 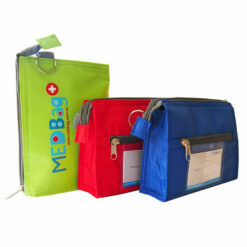 These insulated food allergy lunch bags are perfect for kids with allergies. 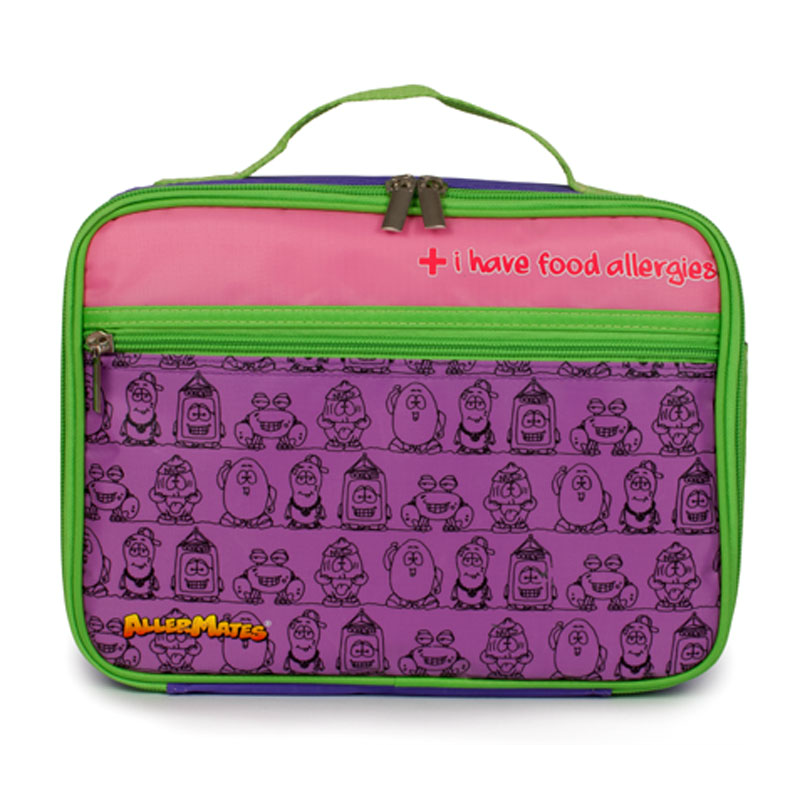 Alerting others to you child’s allergies at snack & lunch breaks is important. These lunch bags hit the mark in a fun way that won’t make your child feel different. 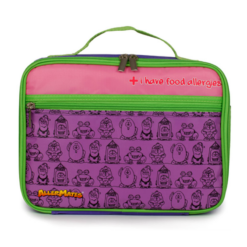 Kids love the cool characters & parents love the peace of mind this lunch bag affords. 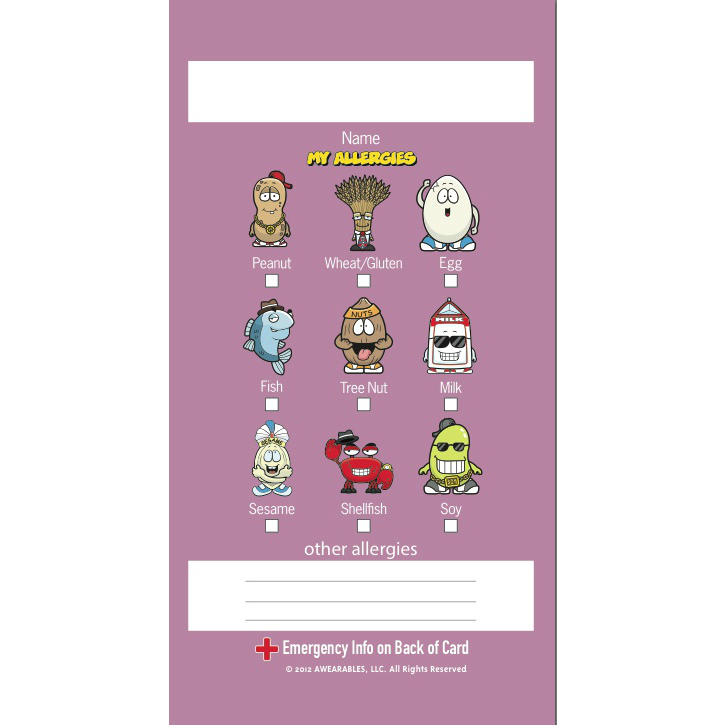 Comes with a colourful allergy info card featuring the AllerMates characters which slides into a clear side pocket and helps identify your child’s allergy in a fun and straightforward way. Important emergency info can be placed on the back of the card.